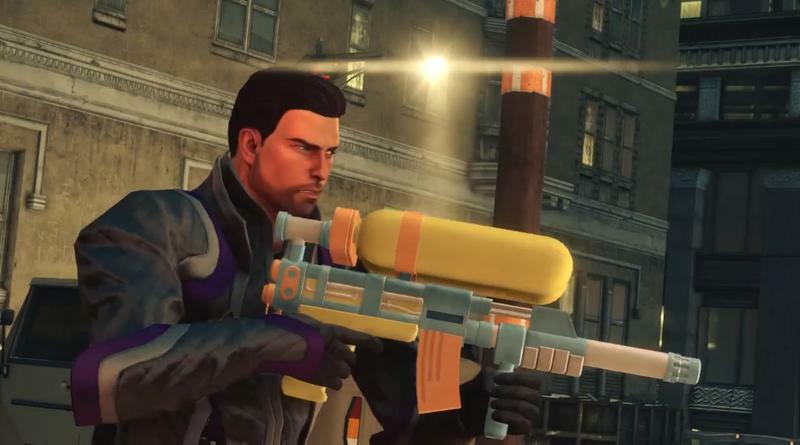 Volition and Deep Silver have released yet another trailer for Saints Row IV. This one features plenty of gameplay and dialogue as it pretends to be the dramatic family blockbuster coming to theaters this summer. It's not, of course. It's just plain silly. Somewhere between the fictional president of the United States freefalling naked and wielding a Super Soaker 50 that fires lasers instead of water is the majesty that will definitely become Saints Row IV. Volition has abandoned any sense of realism in this next entry, and that sticks out amidst the hilariously awkward melodrama and swelling symphony. Also, this brand new trailer introduces Keith David to the Saints Row fray. David is a renowned actor well known for his roles in flicks like Requiem for a Dream and Platoon. Of course his part in this game will be absurd, but it's awesome seeing a banner name like David's after Saints Row: The Third featured Burt Reynolds. Saints Row IV will hit the Xbox 360, PlayStation 3 and PC platforms on August 20th, 2013. We'll have a chance to go hands on with it at E3 next week, so stay tuned.